 Greetings Psychic Junkies. I'd like to shed some light on what is normally called a ouija board. First I would like to warn that their are entities that are looking for portals into this dimension for the purpose of communication or to fulfill undone work. Honestly the Ouija Board is an instrument used to open a portal, now I'm not saying it's a bad thing I'm just saying it's not something you want to play with if you have no idea what you are doing. As for me I use an instrument called a Talking Board, and the way it works is the board has been designed especially for me. It has alphabets, punctuation and numbers, the difference in what I do is, I use a pendulum which is tied to my finger allowing it to dangle, I then place the pendulum over the Talking Board and without any effort from me (remember the pendulum is tied to my finger I do not hold it) the pendulum swings from letter to letter spelling out words, giving answers to your questions in sentences and phrases. Now I have always used a pendulum but only for yes and no answers, I found a pendulum chart online downloaded it and placed the pendulum over the chart, it spelled out...THIS IS THE WAY YOU ARE TO READ FROM NOW ON. Needless to say it completely freaked me out and I dropped the pendulum.  After getting messages from my Spirit guides through dreams, I knew she was communicating with me through the pendulum in order to give specific information to my clients. This method has been accurate and 100% on point. It gave my client a diet and a supplement for an illness her husband had, during the reading I did receive information he was sick, but the never told me what the illness was they just gave him a diet and a supplement, come to find out he had stage three liver cancer, after taking the supplement and following the diet he was completely cancer free. I know you might not believe me, but his wife left a testimony on my website, giving thanks for the information she received that saved her husbands life. For the month of September I am offering and additional $10 discount for any reading you receive even if it's already on special, just so you can try this for yourself, enter Tarot Blog at check out. I recommend this form of reading only if you are aware of what energy works through it. Done in light it is simply AMAZING!! !